CDs are available to buy online direct from Christina. Click on the banner below to go straight to the shop. Buying direct from the artist ensures the lowest price available and you're supporting an artist's ability to continue recording and performing. 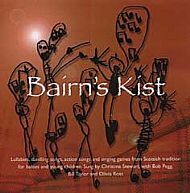 Bairn's Kist has sold out in CD form, but is available to buy as a download and you can print your own copy of the leaflet by clicking on "Bairn's Kist - Leaflet" on the menu on the left. Buyers in the United States of America may prefer to order from CDBaby. Please click on the link..
Any music shop can order up a copy for you through Highlander Music Distribution, who distribute nationally in Great Britain and internationally. Copies of kist o dreams are available at £10 each (£12.50 including postage and packing within UK). 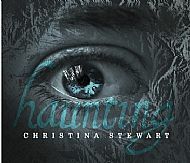 Copies of Haunting are available at £18.00 each (£20 including postage and packing within the UK). Druimorrin, Orrin Bridge, Urray, By Muir of Ord, Ross and Cromarty IV6 7UL. Cheques or money orders should be made payable to Christina Stewart (kist o dreams). 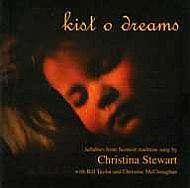 All the kist o dreams songs can be downloaded from this site as mp3 files. 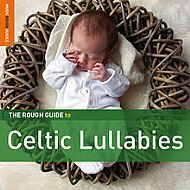 Go to 'The Songs - kist o dreams' section, and choose one of the lullabies. You will find a link which will allow you to save the song to your hard drive. Some tracks are also available on the http://www.ambaile.org/ website, in fast or slow download versions, all with Gaelic translations. On the Am Baile home page, search for Christina Stewart, then use the toggle on the horizontal bar at the top of the page to switch between English and Gaidhlig language versions.